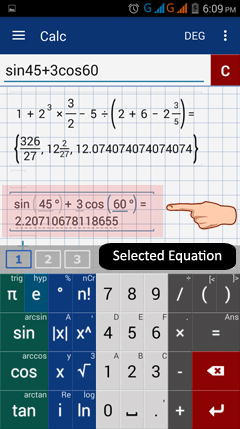 The workspace area is where the entered expressions or equations and their results are displayed. 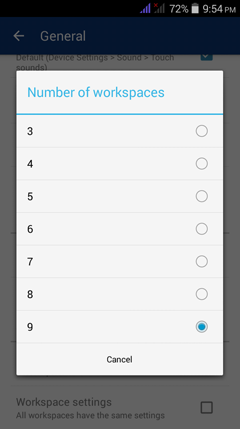 Settings > General > Number of workspaces and select how many you would like to use. The minimum is 3 and the maximum is 9. Tap the expression you would like to change in the workspace area and the expression will appear in the input field where you can edit it. 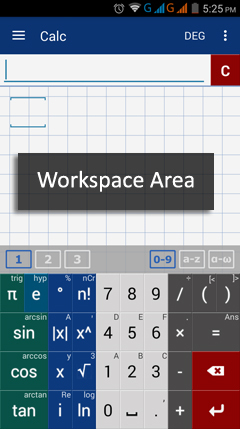 If you would like to move where the expression appears in the workspace area, tap and hold the expression in the workspace area and slide to move it to a different location. 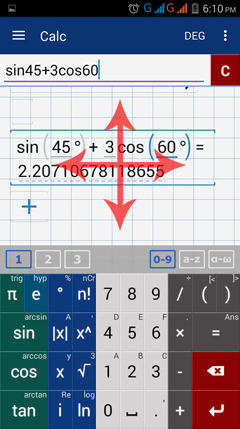 If the results don't fit on the screen or they are too small to be seen, adjust the size by squeezing or stretching the display area using two fingers until you reach your desired size. 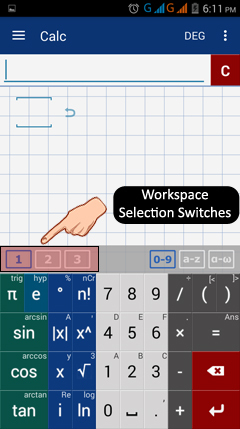 Use the workspaces to switch between the three workspaces.